Is this even a recipe as much as an idea? In any event, there hasn’t been too much of what passes for cooking around here these days, and this is the best I’ve got. One of the many hats I wear is landlady, and I’ve been quite busy lately with my landladying business. 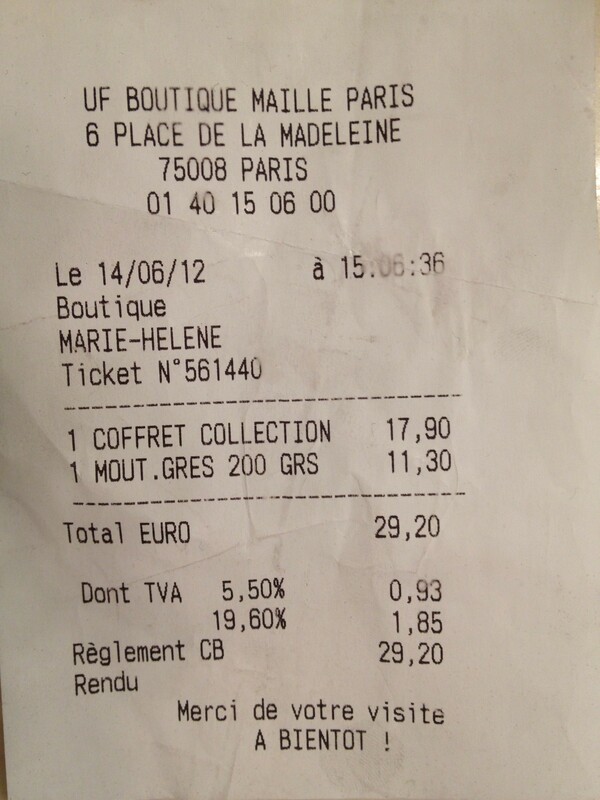 Sadly, it is not as fun as being a Parisian food critic, my real calling, but a girl’s gotta make a buck sometimes. Between that and back to school preparations, my meals have suffered. I do love summer tomato season, even if it is sometimes overwhelming. We had a pretty decent crop this year, despite our rocky start. 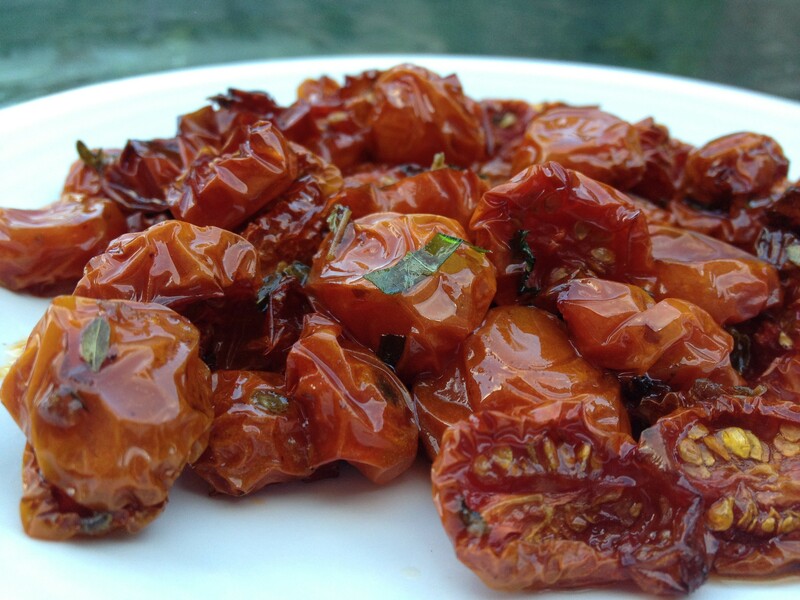 I usually make a batch or two of slow roasted tomatoes every year, and I usually consume the first batch entirely by myself. I don’t suggest doing this for a variety of reasons, mainly digestive. Or that “gluttony is a sin” idea, if you’re religious. But they are that good! 1. Measure about 1/4 cup olive oil in a cup. Add minced garlic, vinegar, herbs, pinch of salt. Mix well with a fork and set aside. Let this sit at least 30 minutes before using. 2. 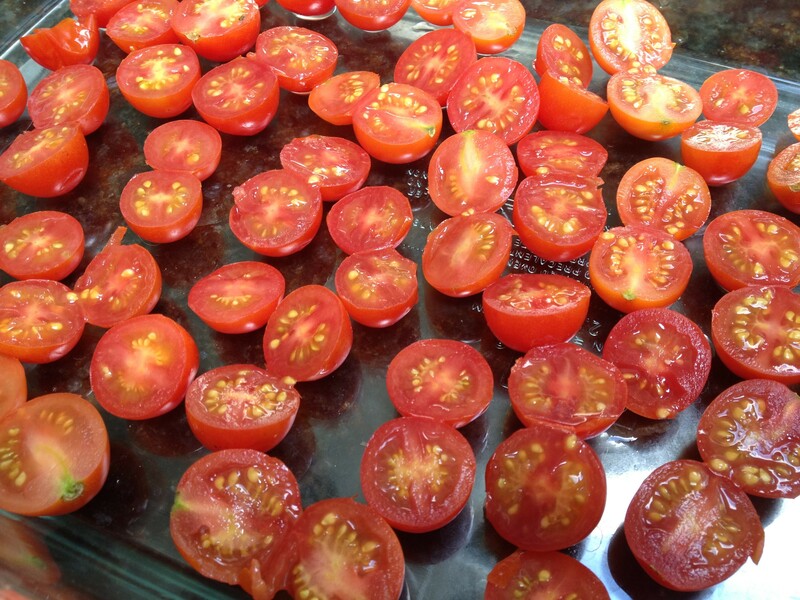 Cut tomatoes in half and place on rimmed baking sheet or 13 x 9 glass pan. 3. Drizzle olive oil mixture over tomatoes. 4. Put them in the oven and go on with your life. They should be ready in about three hours. 5. Don’t eat all of them by yourself! It’s fun to share. 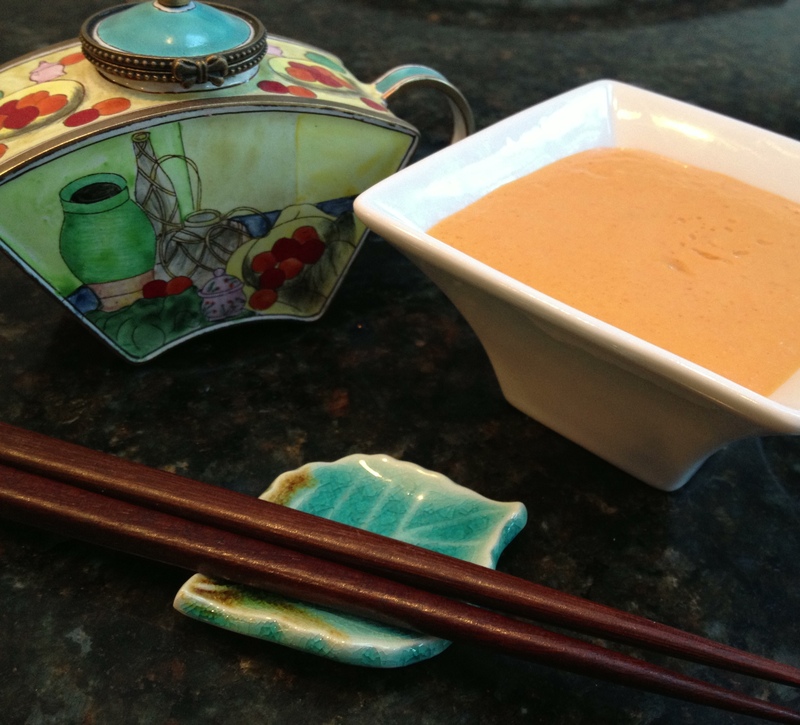 I found this recipe in my Fall 2012 Entertaining from Cook’s Illustrated magazine and knew right away I would like it. 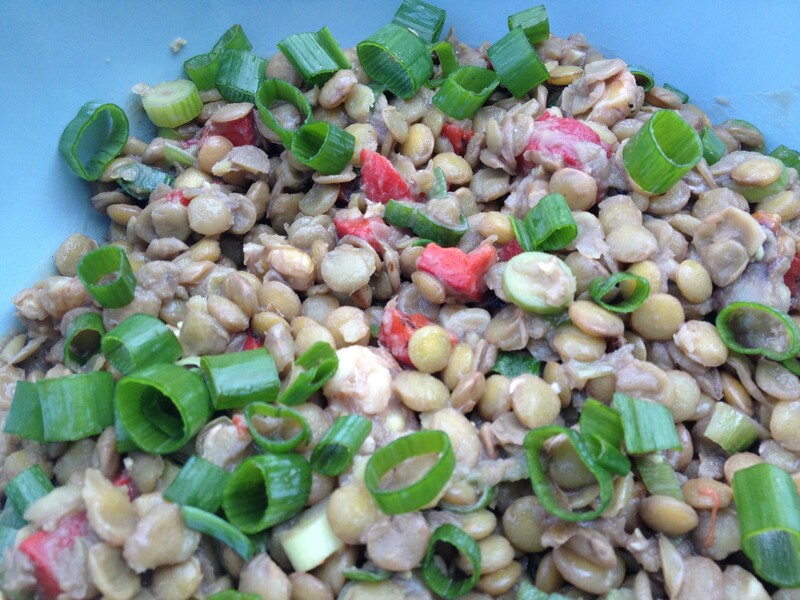 I am a huge fan of lentil soup, so lentil salad with a mustard vinaigrette seemed like an obvious win. I warmed up to mustard later in life. I think I was about twenty-two before I could eat it at all, and then each year my love for mustard grew exponentially. I am embarrassed that I was a big fan of what passes for Dijon mustard in this country; I always keep a jar of Grey Poupon in the refrigerator. When I was in Paris, I was drawn to the colorful display of the Maille Mustard Boutique, at 6 place de la Madeleine. It really is a mustard boutique. Think about that for a second and tell me the French aren’t magnifique. 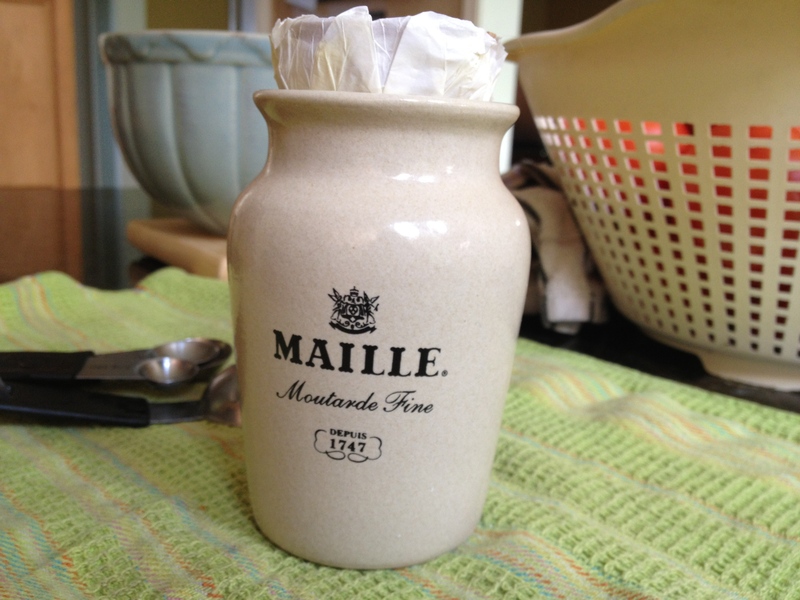 After sampling a few varieties, I purchased a ceramic jar of Moutarde Fine au Vin blanc, or white wine mustard. The mustard comes right out of a tap and is sealed with a cork. Blessedly, it survived the transatlantic trip, and if I was smart, I would have stocked up some more. I am down to the last precious little bit, and I devoted it to this recipe. 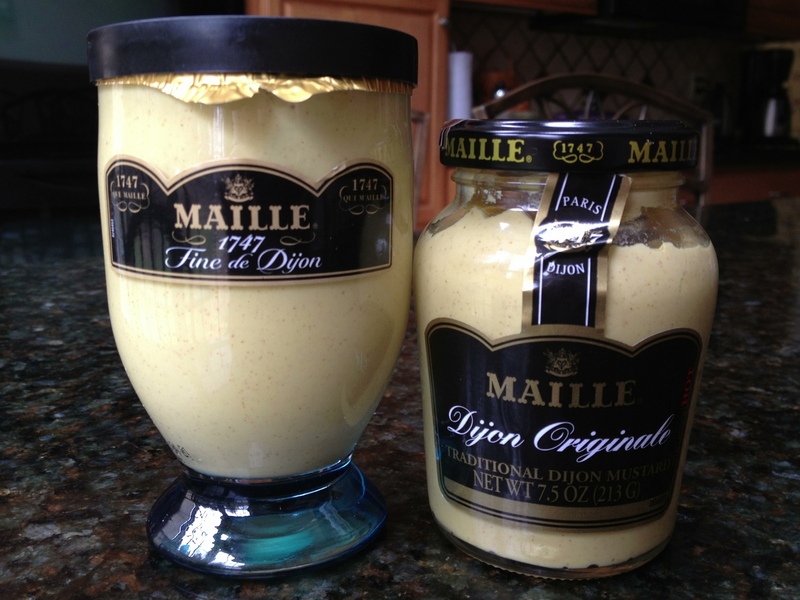 Unfortunately, this is NOT the same Maille mustard we can get in North America. I don’t know what silly trade rules or FDA regulations are responsible for this travesty, but I do know that the mustard from France is much stronger and fuller bodied than any Maille Dijon that can be purchased here or in Canada. But back to this recipe! It’s a great little salad that can become a full meal if you add chicken or sausage, but it is substantial enough to stand alone, too. 1. Combine 6 cups water, lentils, onion, bay leaves and 1/2 teaspoon salt and bring to a boil in large pot. 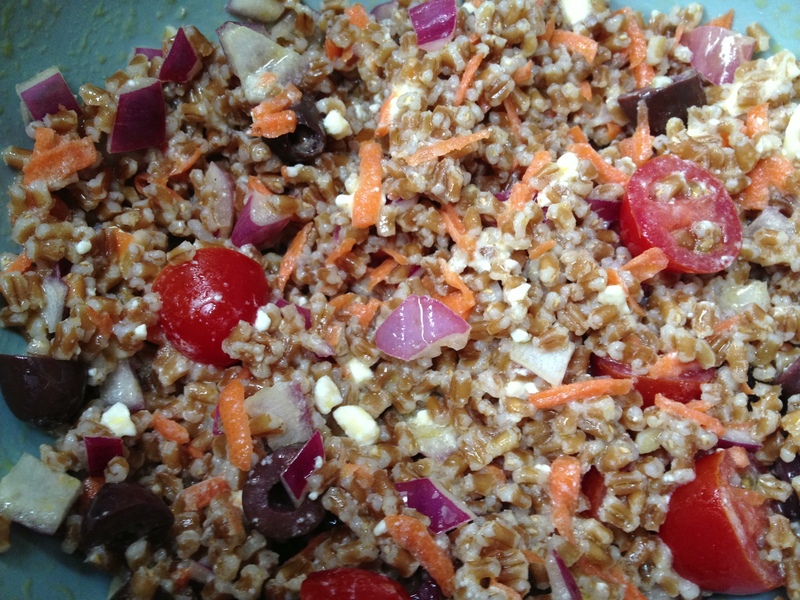 Reduce heat to medium low and cook until lentils are tender, 25 to 30 minutes. 2. While cooking lentils, whisk together vinegar, oil, mustard and 1/2 teaspoon pepper in small bowl and set aside. 3. Reserve 1/2 cup cooking liquid and drain lentils, removing and discarding onion, thyme and bay leaves. Transfer to medium bowl and toss with dressing. Let cool to room temperature. Stir in red peppers, walnuts and scallions. Add salt and pepper to taste. It was yet another, “Oh, lord, I have to feed these people AGAIN?” kind of day, and this recipe came across my Facebook feed just in time to save dinner. Thank you, Fine Cooking, for the inspiration. 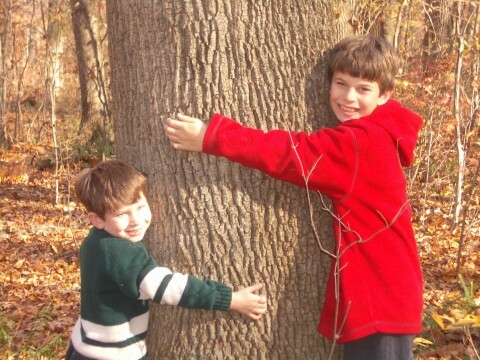 Their original recipe, the foundation for my creation, can be found here. If you’re not a fan of strong cheese such as Gorgonzola, move along…this recipe will not be for you. And don’t even THINK of substituting it with any other cheese! I highly recommend splurging on some sherry vinegar, which my newly appointed cooking guru David Lebovitz favors over balsamic. 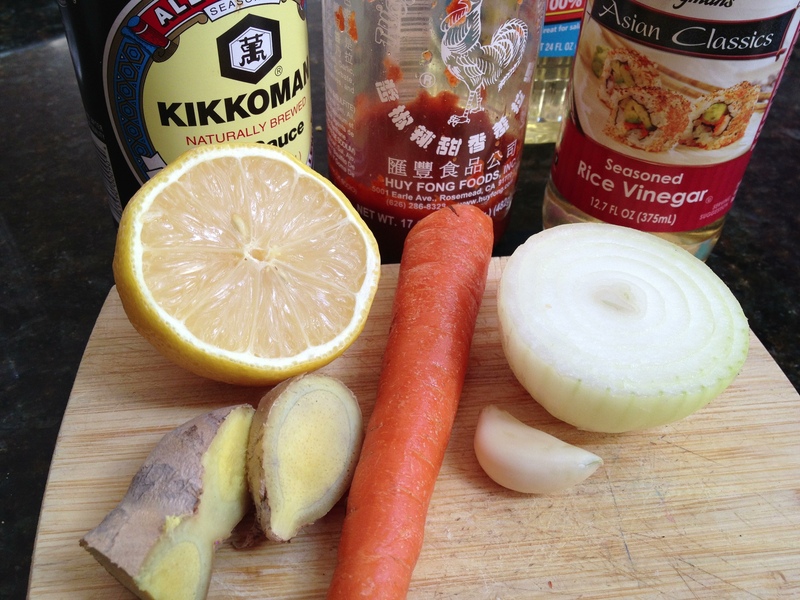 But I do think for this recipe, any old red wine vinegar will do if you don’t feel like running out to buy a sherry vinegar, which is not always available in every store. Aside from the dressing and the cheese, this recipe is very open to improvisation. 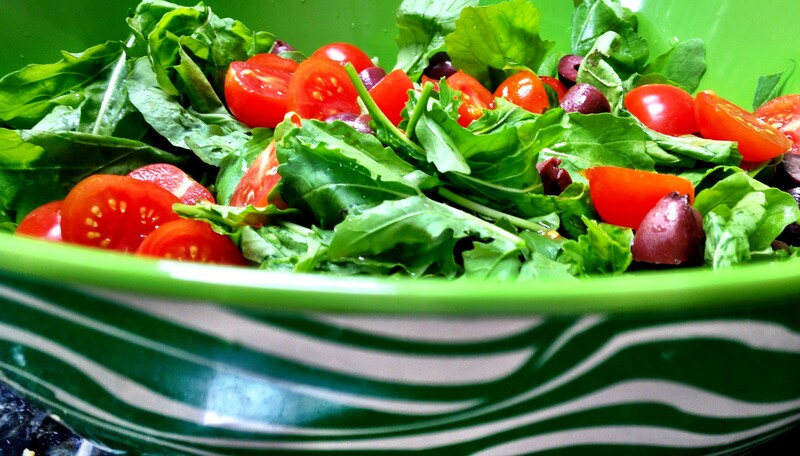 The combination of sweet cherry tomatoes and strong Gorgonzola is just perfect. Bring a large pot of salted water to a boil. Add the orzo and cook per package instructions. Drain the pasta and toss it immediately with 1 Tbs. of the olive oil. Let the pasta cool completely in the refrigerator. 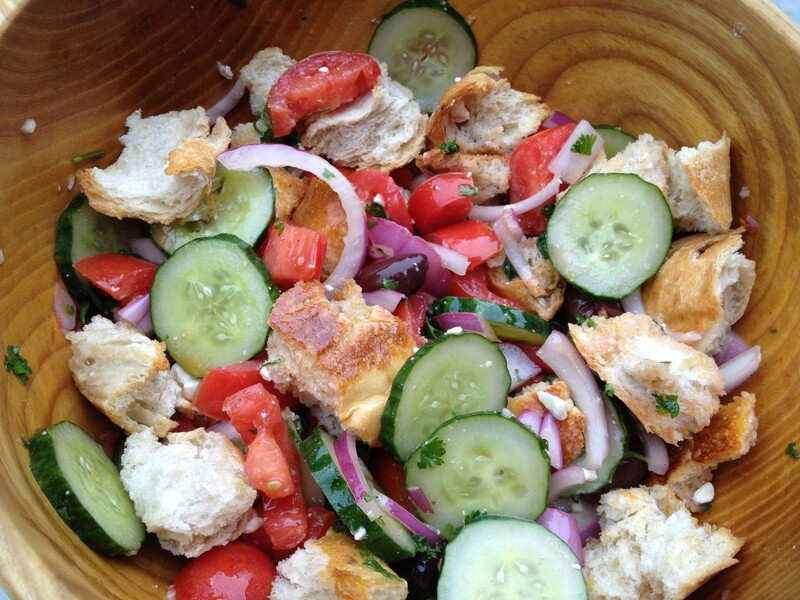 Put the sherry vinegar in a small bowl and gradually whisk in the remaining 1/2 cup of olive oil. 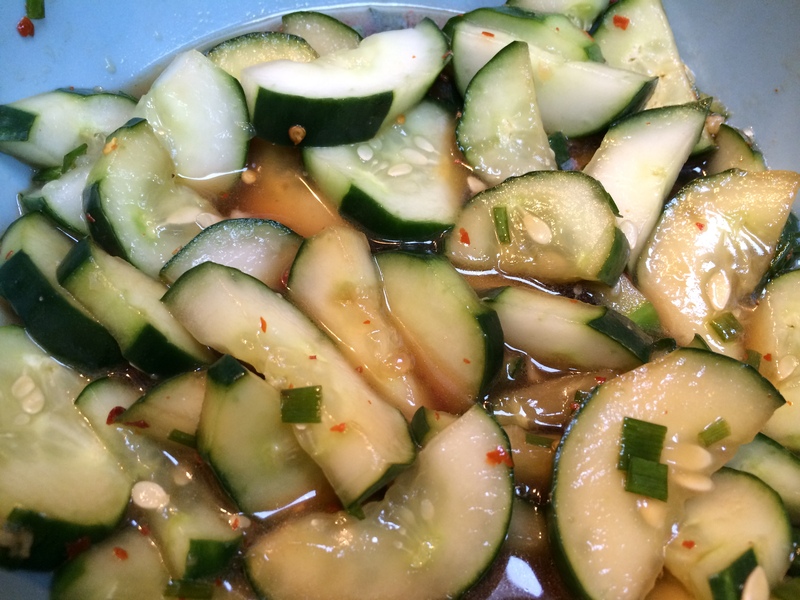 Taste and season with salt, pepper, and additional sherry vinegar or olive oil as needed. 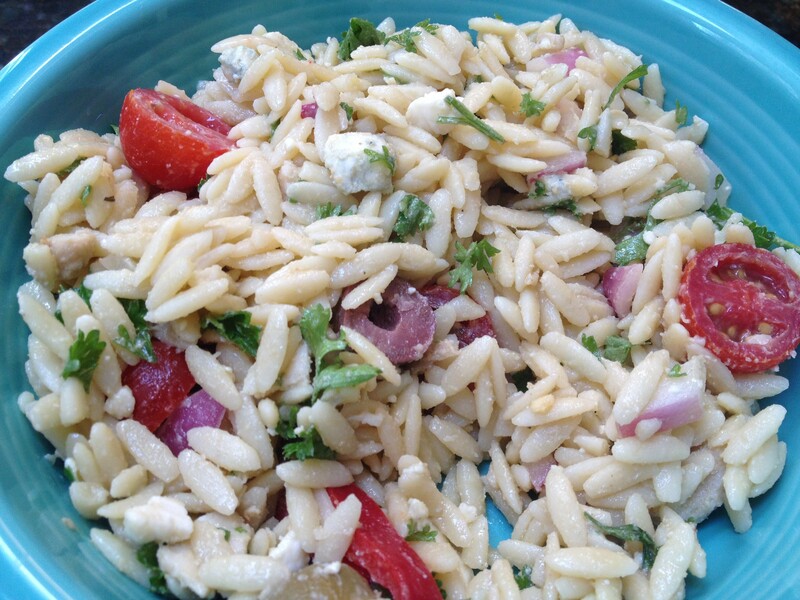 Put the cooked, cooled orzo in a large serving bowl. 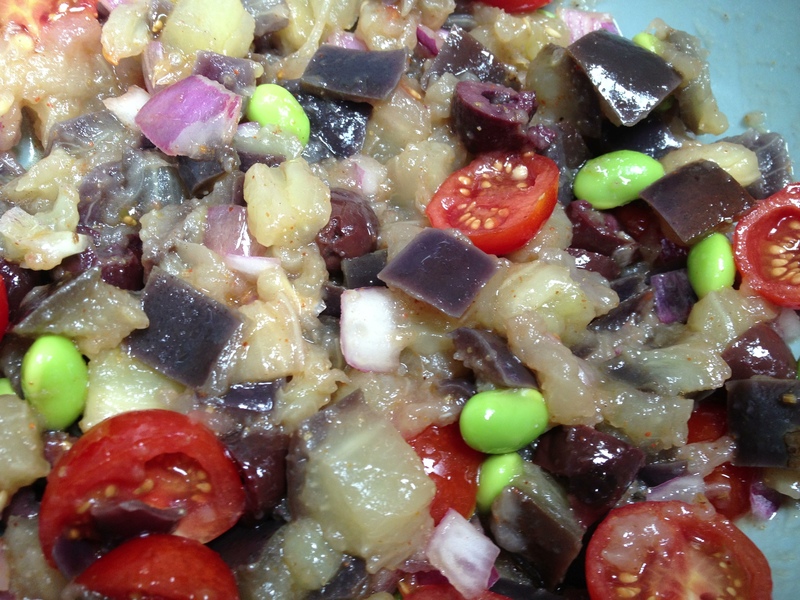 Add the cherry tomatoes, Gorgonzola, chicken, onions, olives and the vinaigrette and toss. Taste and season as needed with more salt and pepper. Serve within an hour or two of making.